“I wish you didn’t have any problems. Everybody’s got problems,” added Clinton, who served as the 42nd president of the United States from 1993 to 2001. The Mexico City “Youth and Productivity” summit was organized by Laureate International Universities, a network of educational institutions in the private sector. 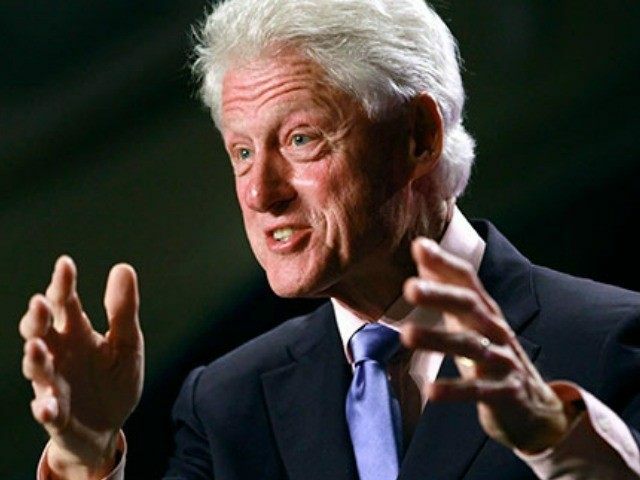 Bill Clinton is the honorary chancellor of the organization. The Fusion news outlet noted that Mexican media has interpreted Clinton’s words as an apology. “Clinton apologizes for anti-narco war applied in Mexico” reads a headline by Mexican magazine Proceso. “Clinton apologizes to Mexico for drug trafficking,” posted Mexican anchor Joaquín López-Dóriga on his website. Fusion reports that The Clinton Foundation stood by the former president’s comments. In 2014, Mexico recorded a historic number of disappearance cases, many of which have been linked to drug trafficking organizations. Mexico is dealing with the ongoing international spotlight on the 43 missing students who disappeared from the Mexican state of Guerrero in September 2014. The country concluded that the students were kidnapped by drug cartel members and then murdered, but only one of the bodies has reportedly been found. Murders in Mexico, many of which are carried out by drug cartels, dropped by about 15 percent last year to 15,649 (about 13 per 100,000 residents), from 18,331 (about 15 per 100,000 residents) homicides in 2013.